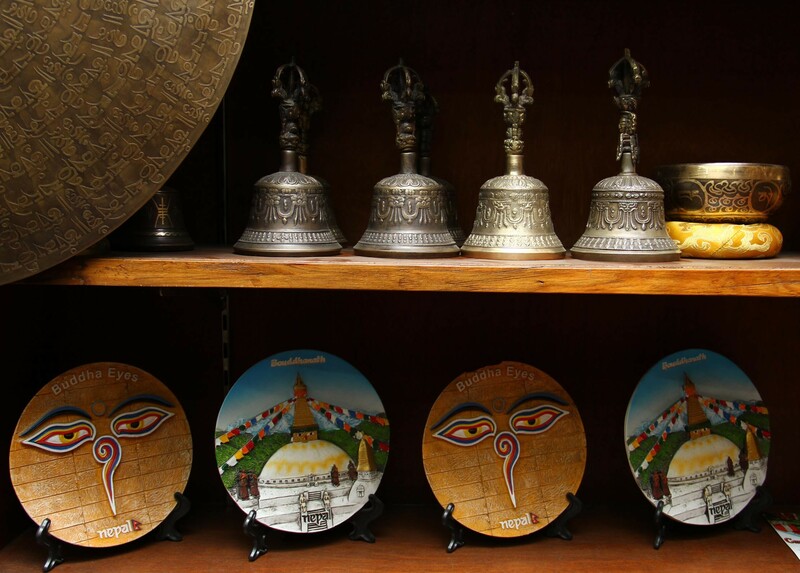 Swayambhunath is a national heritage site of Nepal. It is a holy place of Buddhism. 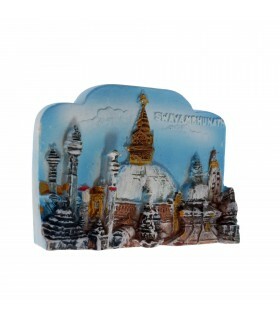 This refrigerator magnet with ceramic art reflecting Swayambhunath Stupa is a perfect souvenir from Nepal. 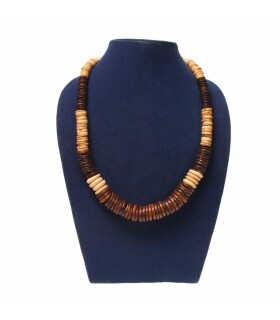 Buffalo bone neckpiece of round shape dyed in black colour. Om in Sanskrit is crafted in between. 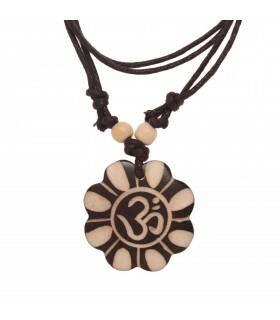 Om is a spiritual symbol and mantra followed by different religions. You can hook this keychain on your keys or bag packs. Buddha at rest incense stick holder also works as a table décor. The lid where Buddha is resting can be opened to clean. 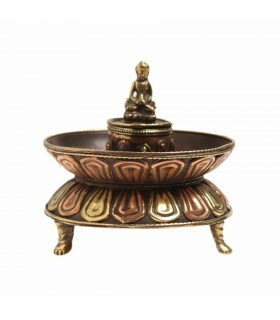 Buddha is placed inside a bowl. It is made from copper and brass. Buffalo bone neckpiece of round scalloped shape dyed in black. 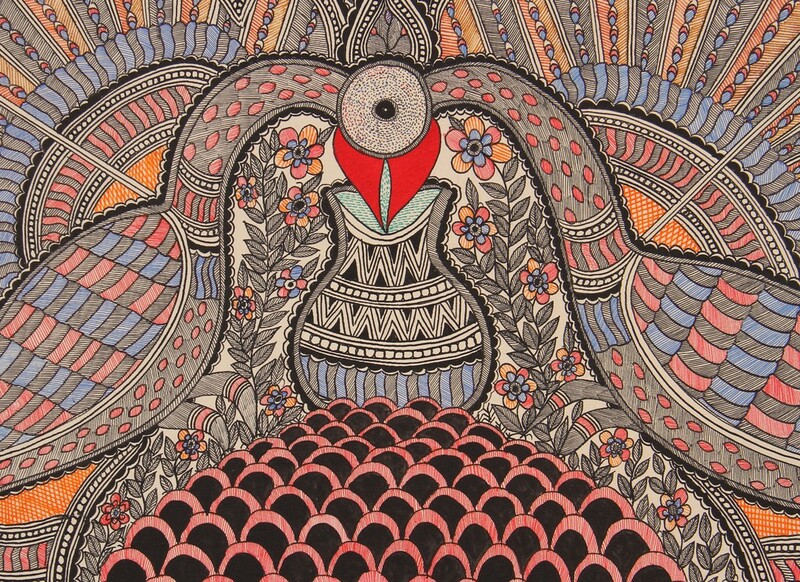 Om in Sanskrit is crafted in between. 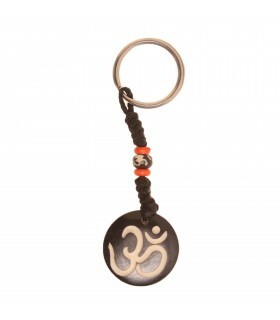 Om is a spiritual symbol and mantra followed by different religions. The necklace is adjustable from 18 to 26 inches. 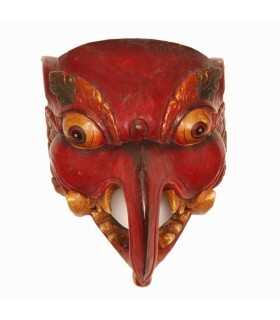 Kathmandu Handicrafts is an online wholesale Nepalese handicrafts store from Nepal offering Handmade and genuine Nepalese art and craft products from Nepal. 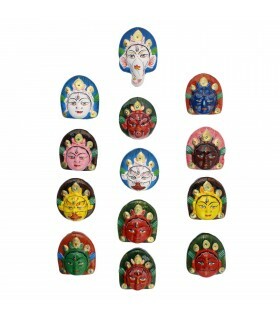 We are supplier, exporter and also a manufacturer of Nepali handicrafts and various handmade Nepali products. 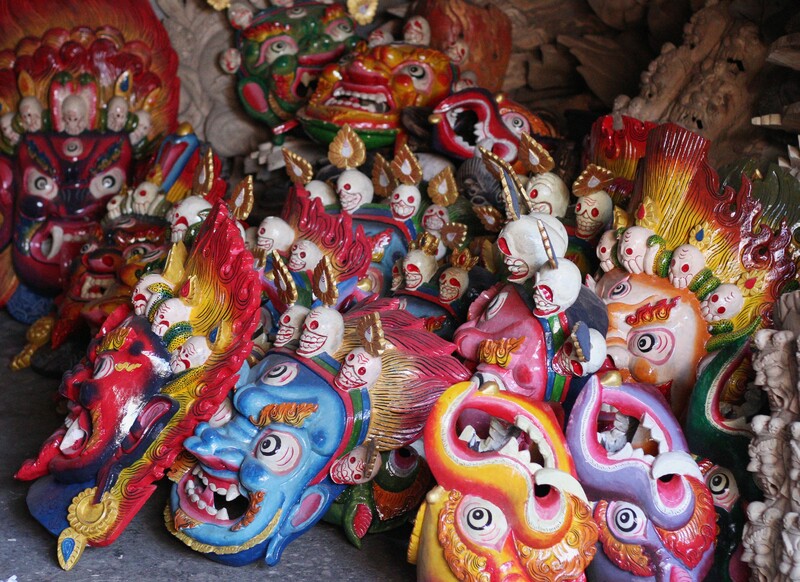 Today our Nepalese handicrafts are known to the world, people from various parts of earth visit Nepal just to observe the diverse Nepalese art and crafts. 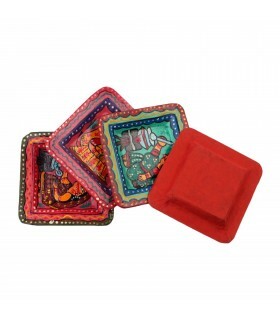 Now you can buy these "Made in Nepal" handicrafts online at wholesale rate just by sitting in front of your desktop. 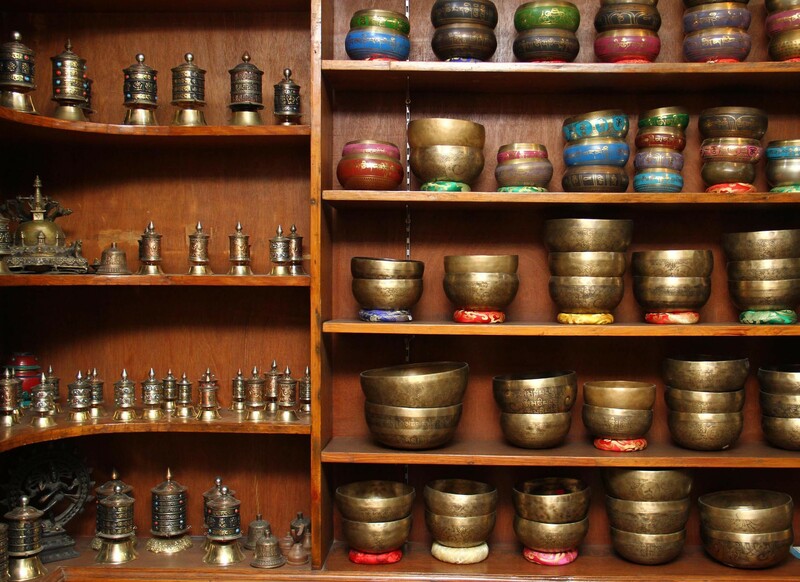 We have a huge range of Nepali handicrafts and handmade products from Nepal and Tibet, like singing bowls, metal and wooden statues, Nepali paper Products, Tibetan ritual items, Bone and silver jewelries and many more. We provide "FAST FREE SHIPPING WORLDWIDE" for orders above US $499. 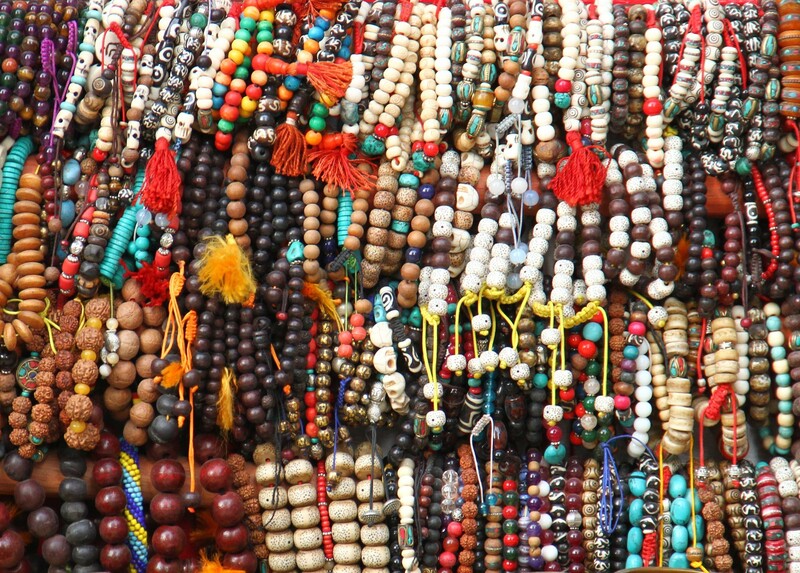 Experience a hassle-free, fast service; door to door free worldwide shipping at given time frame and quality Nepali handicraft products at value for money with us. We also provide various modes of payment which are secure, safe, fast and easy such as Debit Card, credit card and Net banking. 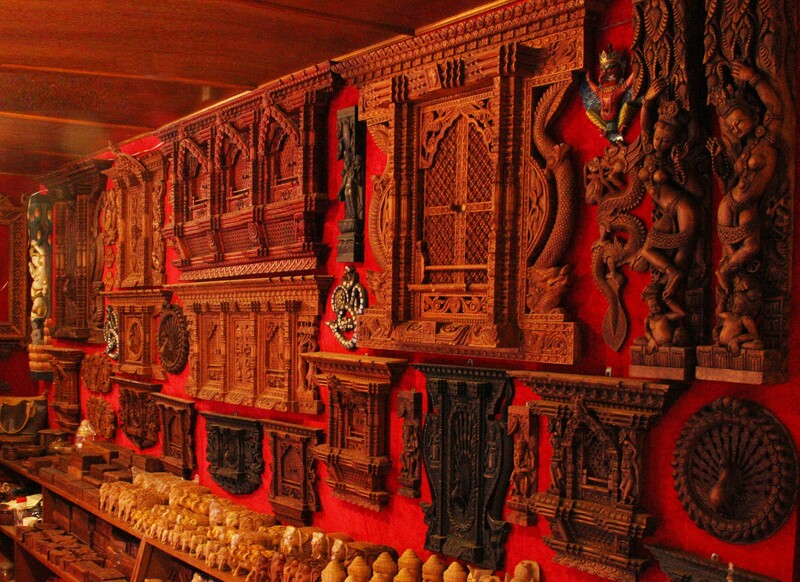 We at KathmanduHandicrafts.com assure you that you will have ideal shopping experience with the best handicraft products from Nepal.